Feminists in the region disagree. Eyvi Agreda had been harassed by her assailant for two years, and had reported it to the police, but no legal action was ever taken by officers on her behalf. That is a familiar story in Peru, where one of the biggest challenges facing women’s rights activists is a sexist culture that refuses to believe the stories of women being harassed, abused, stalked or assaulted. Between 2010 and 2017, there were 837 reported femicides in Peru and 1,172 attempted murders of women. The country’s national human rights ombudsman office stated that every month, 10 women are killed by their partner. 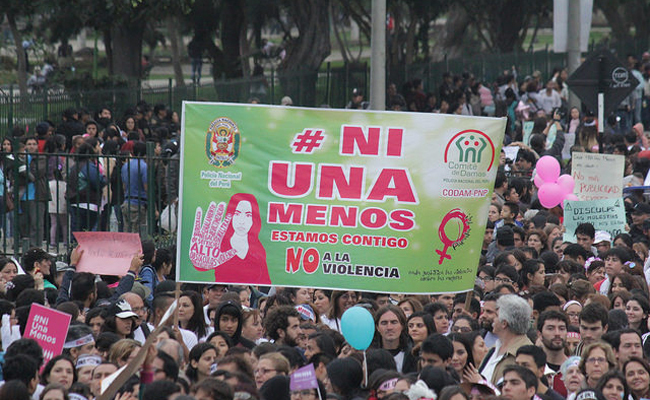 The social media movement #NiUnaMenos, or “Not One Less,” has also been growing, drawing attention to widespread violence against women across Latin America through posts from Argentina, Chile and Bolivia—and Peru. In the wake of Agreda’s murder, Vizcarra has changed his tone, promising that police stations would be on a 24-hour alert and that an emergency committee to address femicides would be formed. But activists and feminist lawmakers want even more: a national state of emergency and focused, intentional effort by the government to undo machismo culture.